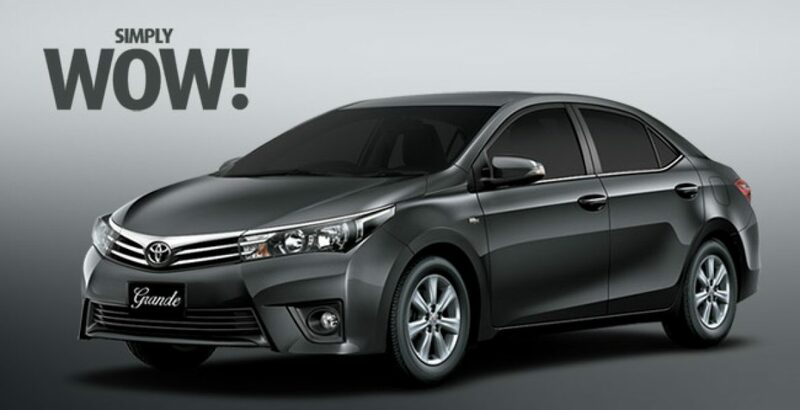 The new Corolla Altis has a powerful engine with the displacement of 1798cc for an energetic and inspiring drive on rough and topsy-turvy paths. At 6,400 revolutions per minute the machine will be generating the whopping force of 103 horsepower. The transmission type of the 4-cylinder engine is automatic with 7 gears. The advantage of the automatic transmission type is that you won’t be required to shift the gears up and down with the respective increase and decrease of the vehicle’s speed—this will be done without manual effort. 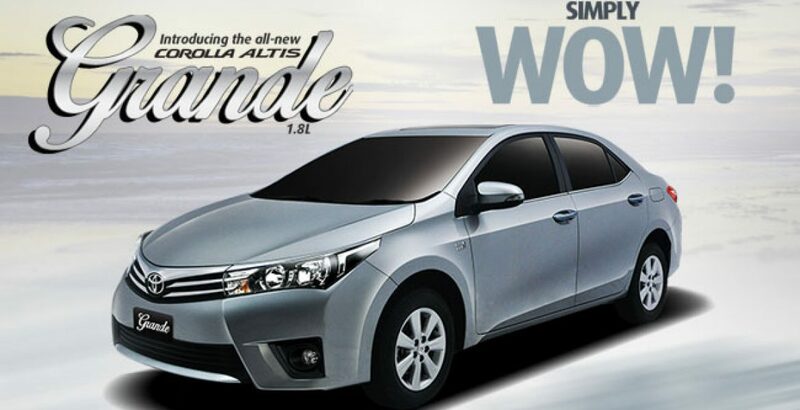 The same level of sophistication emanates from the exterior of the automobile which is available in ten decent shades, namely, white, super white, medium silver, attitude black, red, strong blue, bronze mica, metallic flexin, gun metallic and wine red. So, you can easily go for any of these as per your taste and liking. There is enough stuff for your comfort and entertainment during long tiresome journeys that will relieve boredom and render freshness. Many areas of Pakistan are notorious for their scorching heat in the summer season, such as Sibi and Multan. While driving in these locations with your family in Grande, there will be no need to worry about the harsh environmental conditions as the air conditioning system of the four-wheeler is efficient enough to turn the sizzling heat into cool breeze. 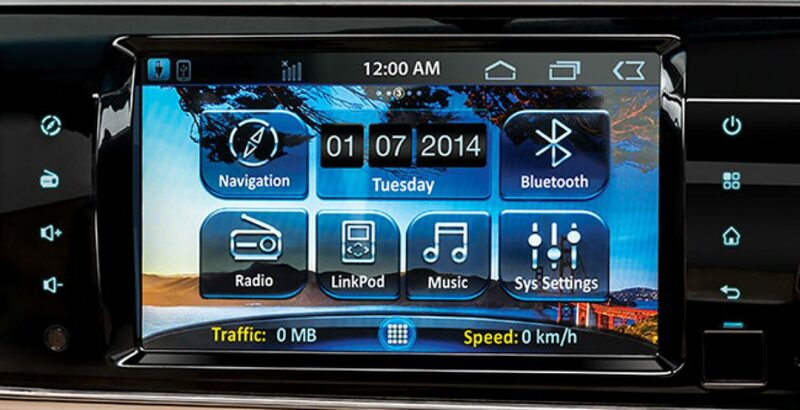 For musical enjoyment, you can utilize the options of built-in AM/FM Radio and CD player. To maximize the level of entertainment during a drive through recreational and nature-rich spots, like Murree in Pakistan, sunroof is also present. Though the frequency of the accidents has been brought down, but even in the advanced countries with modern sophisticated transportation systems such unfortunate incidents have not been controlled completely. So, in any kind of vehicle, appropriate safety measures have to be adopted. To safeguard the travelers in case of a horrible accident, there are air bags both for the driver and the passengers. 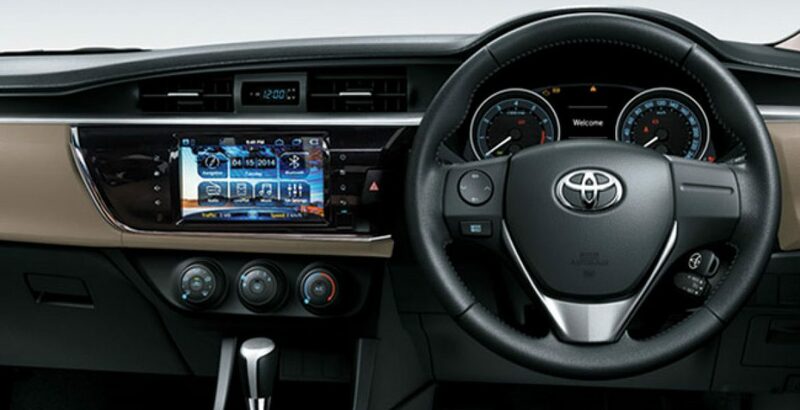 The powered windows, door locks and steering will contribute to the convenience of driving and safety. Meanwhile, there is anti-lock braking system that prevents the wheels from locking up and significantly reduces the risk of multiple vehicle crash. This modern automobile safety system enables the wheels to maintain tractive contact with the road surface according to the input by driver. What Shouldn’t Have Been Absent? 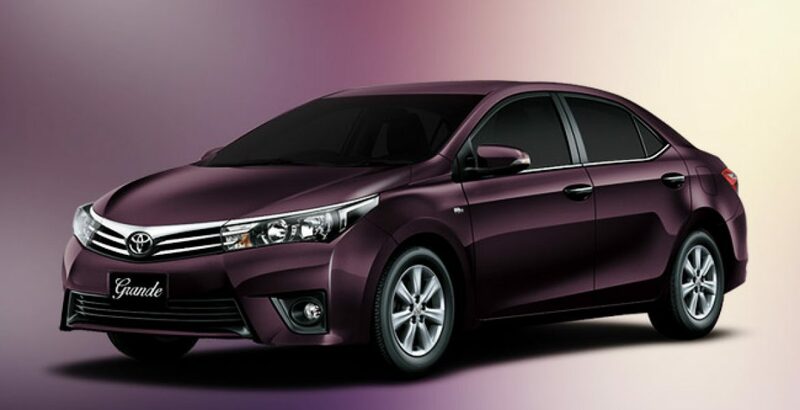 Overall the specs standards of the car are just awesome, but there are certain deficiencies which may disappoint the individuals who want to buy Toyota Corolla Grande 2017. For example, steering adjustment, tachometer, front fog lights, rear defroster & defrogger, power seats, cool box and DVD player are all absent. 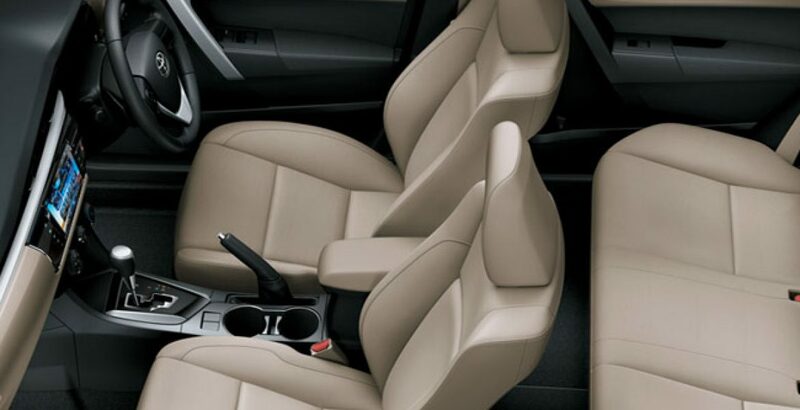 Moreover, you won’t even find the features, like folding rear seat and traction control system. At the same time, you have to realize that every modern or even super modern vehicle has its own pros and cons. The only thing you need to keep in mind while purchasing a vehicle is to search out whether the plus points are more than those of negative ones. 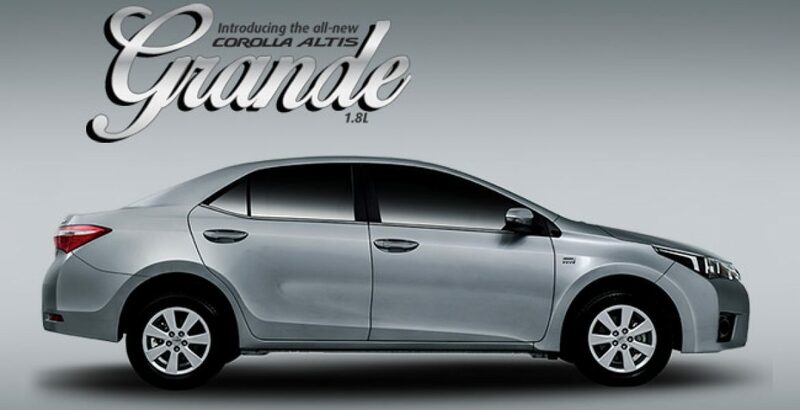 Accomplished with modern technology and a plenty of innovative features, the new Grande from Corolla is going to be a landmark achievement on the part of the company. The prestigious exterior and luxurious interior will catch the attention of all and sundry. The potential buyers won’t probably be able to resist the desire to possess it. At the same time, there is no denying the fact that there are many shortcomings in the vehicle. But, the towering functionalities are sure to diminish the effects of shortcomings, thus making the car worth purchasing.